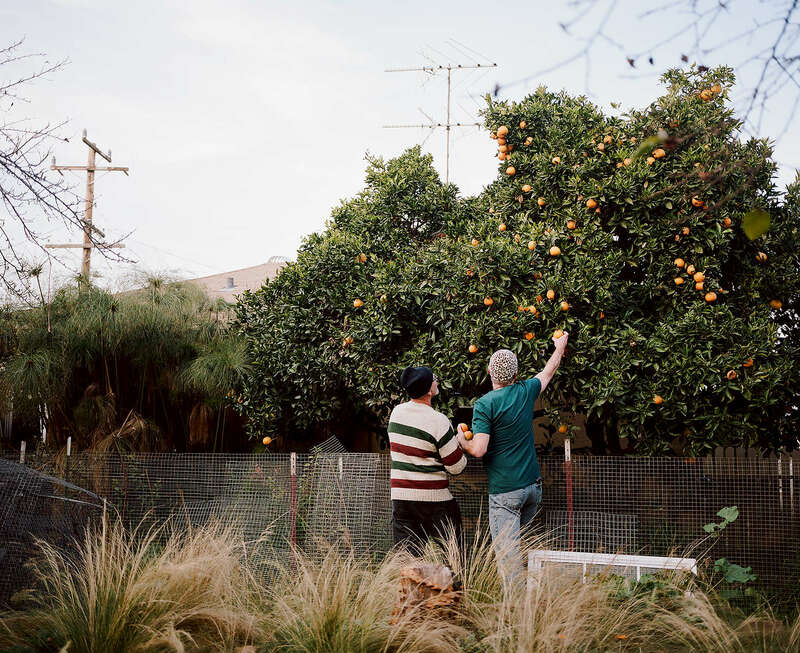 Ralph Thurlow, left, and David Spiher pick oranges in their back yard in Hayward, Calif. on December 4, 2016. The couple has been facing Ralph's health challenges around HIV-Associated Neurocognitive Disorder. The couple was part of the Chronicle's first feature film called Last Men Standing about long-term HIV survivors.